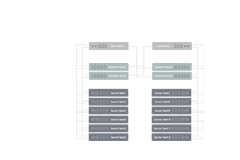 * Minimum cabling distance is 0.5 meters for -SR4 and -CSR4 modules. ** Considered an engineered link with maximum 1 decibel loss budget. 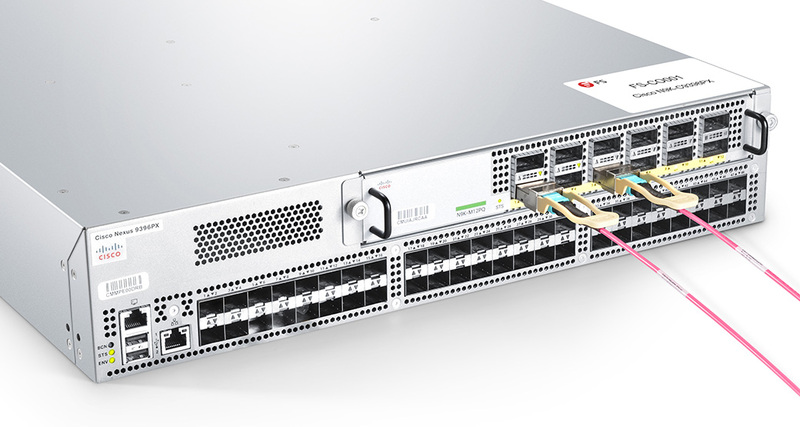 How to connect two Cisco 40G QSFP+ SR4/CSR4 transceivers directly? A Type-B female MPO/MTP to female MPO/MTP cable is required. 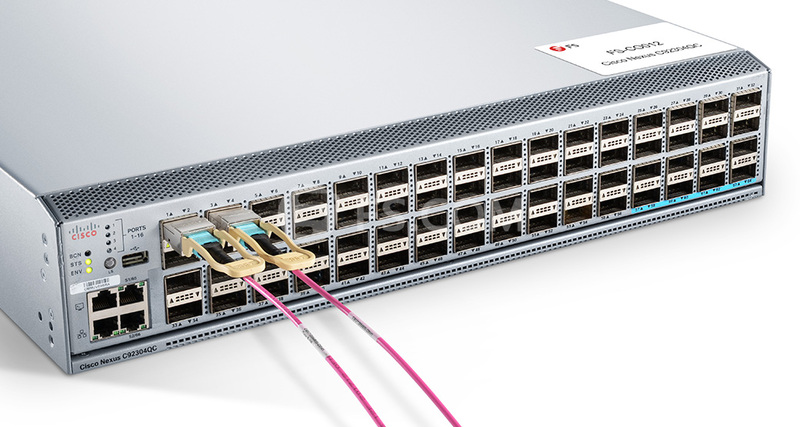 Figure 1 shows two Cisco 40G QSFP+ SR4 transceivers connected by a MTP female cable. 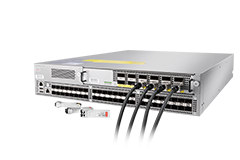 The 40G SR4 supports distances compatible with 10GBASE-SR, which is 300m on multi-mode fiber. 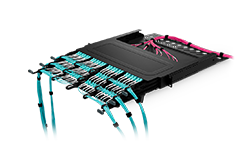 In addition the SR4 optic can support 4 individual 10G-SR connections using MTP Trunk cable and LC duplex cables for multi-mode fiber. Works just as expected, great value. 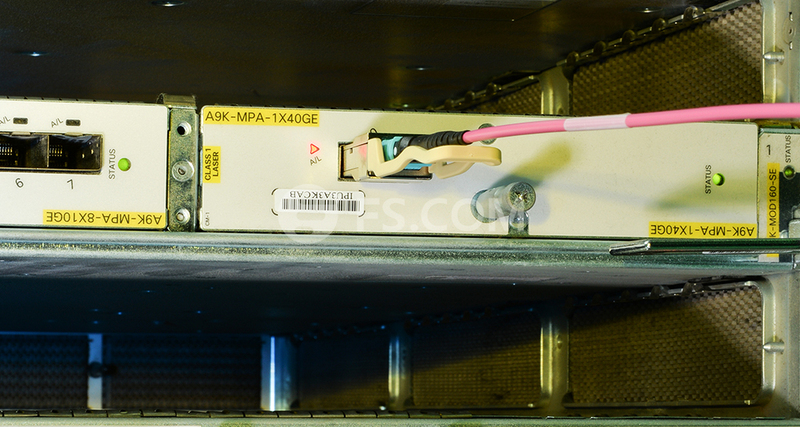 Dell S-Series switches (formerly Force10) identify these transceivers as supported Dell ones. 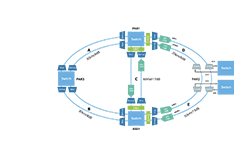 Items from past orders work seamlessly, flawlessly over a long period of time. A big cost cut compared with "original" vendor's gear, w/o compromise on quality. Works as expected. Delivery was fast and accurate. I like their OEM service, especially their customized service of transceivers. I am a distributor. P/N and label should be designed as my requirement. 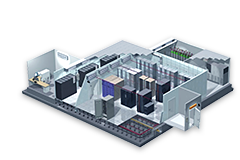 FS is able to provide customized high-quality and cost-effective solutions for all my needs and specifications. Very appreciated! Purchased a lot of MTP cables from FS.COM, for the competitive price and high quality. 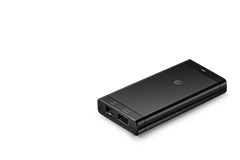 But this time I tried their SR4 module, I used to buy original Cisco, to work with my N9K-C9396PX. The sales told me they have the same switch to test and can ensure the compatibility. It did. I think I will purchase more in the future. They won my trust. I ordered 5 pcs of these QSFP from FS.COM. But when I inserted them into our switch, there shows error on the screen. I contacted my sales and she transferred my DDM information to their engineer who said that they can change program code for me . They sent me a sample to test very soon, and it worked very well on my equipment. Then they sent me another 4 of new QSFPs and they told me that they will remark requirement on my future order to assure compatibility. Now, I bought about 300pcs transceivers from FS, all work fine on my data center. Perfect after-sales service! 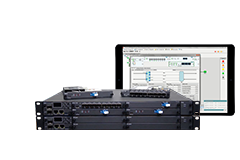 We have used these in many of our Cisco switches and had very good results. 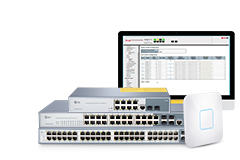 Considerably cheaper than the Cisco certified adapters without any issue. I like your guys modules and they are really excellent products. I did find FS on Reddit. There are many discussion about this company. Just tried to experience their product. 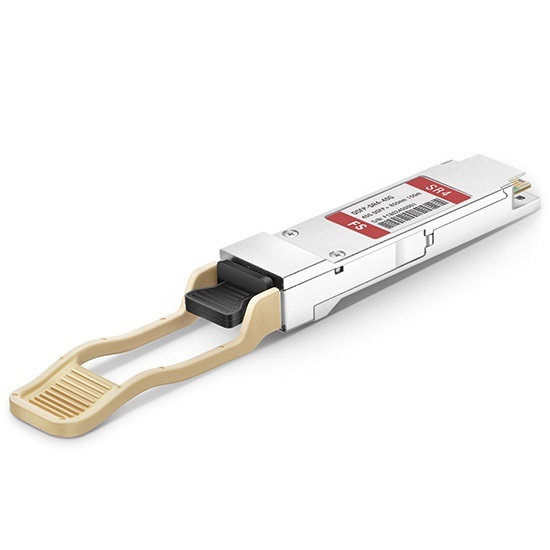 Great as people said, especially the QSFP+, I only purchased this type, tired to plug in EX4300. Everything goes great! Will try more soon. I have tested many of Fiberstore's 10Gb and 40Gb products. Only met a compatible issue once, but it was solved by replacement soon. To be honest, some of their prices are very good, but some is bit higher than my other supplier. Hope I can always get the best price from you, then I will definely give all of our future order to your shop.